Fundraiser by Nicole La Rocque : Let's Get the Dawouds a Car! Let's Get the Dawouds a Car! The Dawouds are supported by volunteers from the International Rescue Committee and International Neighbors . We are teaching them how to budget for car insurance, repairs and gas. 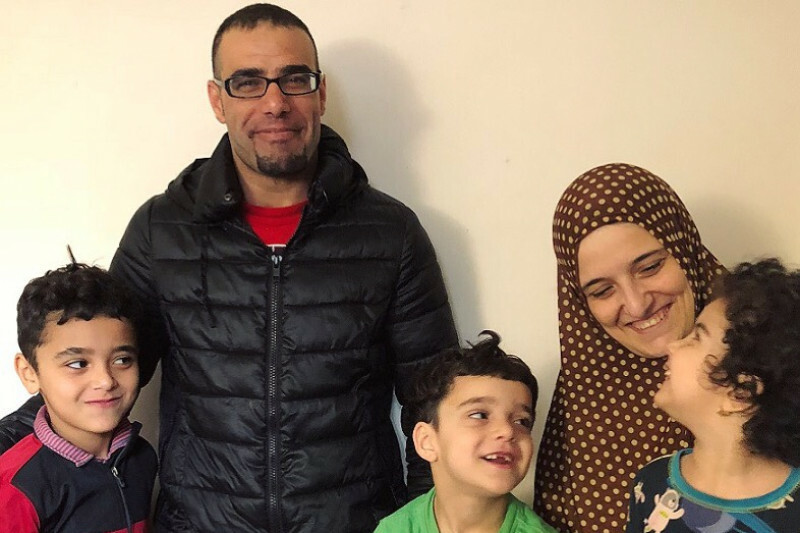 Fayez earned his Virginia drivers license in early 2018 and has saved $1,000 over 2017 for a car. Our combined donations will help the family purchase one of these used, reliable, safe and family-friendly vehicles: Honda Pilot, Honda Odyssey, Subaru Outback. After many hours searching online, we found a good car for the Dawouds, a 2010 Subaru Outback with ~101k miles on it. We have sent payment, but it will take a few weeks for the car to arrive from the dealership in New Hampshire where we found it. We'll be finalizing all the paperwork this week! And we're done: $4,000 raised by 62 people in seven days! Thank you, all. Akash and I will tell the Dawouds the final number this week, and then we'll start looking for just the right Honda Odyssey/Pilot or Subaru Outback. Once one is purchased and insured, I'll share a photo of the Dawouds with their new-to-them car! Last day of the campaign! If you think your network would like to contribute, please share on social media. Almost done! Holy moly! Less than 24 hours after raising the goal to $3,500 YOU ALL MET IT! We've got today and tomorrow before the campaign closes. I've raised our goal to $4,000. Go!